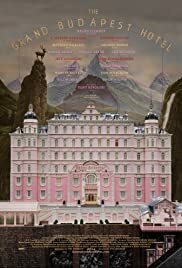 THE REVIEW: One of the big contenders at this year’s Academy Awards, tied for the most nominations (9) with Birdman, Wes Anderson’s The Grand Budapest Hotel is certainly unique. Unique is a word that perfectly describes Anderson’s work as there are no other films quite like the ones he makes, both in terms of story and visual style. This is the third film of his I’ve watched, the others being Fantastic Mr. Fox (which I thoroughly enjoyed) and Moonrise Kingdom (which I found merely OK). A lot of people have praised this film, hence its many nominations and wins (notably the Golden Globe for Best Picture–Musical/Comedy and the WGA award for Best Original Screenplay). While I see the appeal, The Grand Budapest Hotel is just not a film for me. A key giveaway for why this is not a film for me is I did not find a single moment to be funny. Critics who praised the film cited, among other elements, Anderson’s wit and humor. Part of that (apparently) comes from Anderson’s staging and part comes from Ralph Fiennes who plays Monsieur Gustave H., the concierge of the Grand Budapest. I grant the film is quite odd and zany, but amusing and hilarious it is not. As those who know me are aware, I can and do laugh about pretty much anything. I’m a comic’s best friend because nine times out of ten I will laugh uncontrollably at their jokes. Unfortunately for me, The Grand Budapest Hotel turned out to be that one-in-ten moment. Not getting this film’s sense of humor is also a good sign I don’t understand much of the film’s other attributes. That’s not to say I hated this film however, merely that I don’t find it as enjoyable as others. One aspect of Anderson’s that I’m continually enamored with his is visual palette and the way he composes his films. The Grand Budapest Hotel is a clear shoe-in for the Best Production Design Oscar as every minute detail is carefully hand-crafted and selected for each individual shot. Anderson’s signature symmetry is again at play here and I find it kept my gaze for the entire film. I go back again to the word unique to describe the visual style. The film is so visually distinct that it’s nearly impossible to look away for even a second. While I may not have appreciated this film’s “humor”, I at least got some entertainment out of the story. Though I would describe it as overly complex and confusing — this takes place where, and what is this war that’s being waged? — it is still riveting. At a simple level, this film is a murder-mystery with suspects, victims, and prosecutors. There isn’t much of an actual “mystery” element per se (we the audience, along with all the characters, always seem to know what is going on), but the film does take advantage of the suspense and intrigue a murder-mystery normally provides. Again, not a story that I would praise to all I see, but decent enough to hold my attention for just over an hour and a half. THE TAKEAWAY: Many people have enjoyed and laughed a great deal at The Grand Budapest Hotel, but unfortunately, I was not one of them. The film does have its moments, and Anderson’s style continues to be a big attractor for me, but overall I would deem this film lackluster. Your mileage may vary. A good indicator to decide whether or not you’ll like this film might be the trailer, which serves as a fairly good representation.